For any further information, please contact Dr Thomas BORAUD or Dr Pierre BURBAUD. Our objective is to unravel the neural mechanisms underlying cognitive and motor executive functions. Our main interests are the physiological and pathophysiological aspects of the planning, decision making and learning processes. Our strategy is grounded both on a systemic approach, which focus on the interactions between the various structures involved (cortex, basal ganglia, thalamus, medial temporal lobe, etc.) and on a translational approach, ranging from rodent to human subject in normal and pathological conditions. 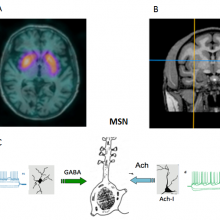 We investigate the neural bases of decision making processes through several projects. We particularly focus our attention on the pre-frontal cortex, the anterior cingular cortex and the basal ganglia. 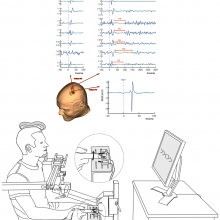 For our studies, we use an interdisciplinary approach combining behavioral experiments, multiple-cell electro-physiological recordings, pharmacological manipulations and theoretical modelling. 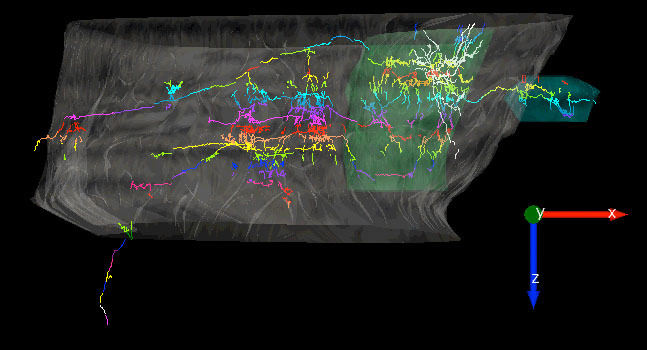 Taking advantage of the expertise we developed on spatial navigation, we study the involvement of the cortex-basal ganglia loop in spatial navigation. 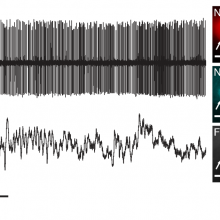 Our approach combines our recently developed navigation task, multiple electrode recordings and optogenetic manipulations to unravel the mechanism underlying routine and switching to goal directed behavior. 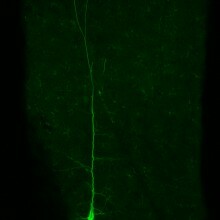 In parallel, we investigate the dopaminergic innervation of the hippocampus. The globus pallidus has been shown to be composed of at least two different cell populations with different embryonic origins and different targets. This, amongst other data, forced us to reconsider the role of the globus pallidus as a hub controlling the activity of the whole network, and not only a simple relay nucleus along the indirect pathway. Our goal is now to assess how the inclusion of this two populations impact the dynamic properties of the cortex-basal ganglia loop. Because of our deep involvement in clinical research, we also address the pathophysiological aspect of executive functions. We focus our research on the pathophysiology of dystonia and obsessive-compulsive disorder. Essential tremor (ET) is one of the most common adult movement disorders with a prevalence of 4% in the general population. Although several medications are commonly used, few of them are truly effective for controlling severe forms of essential tremor. 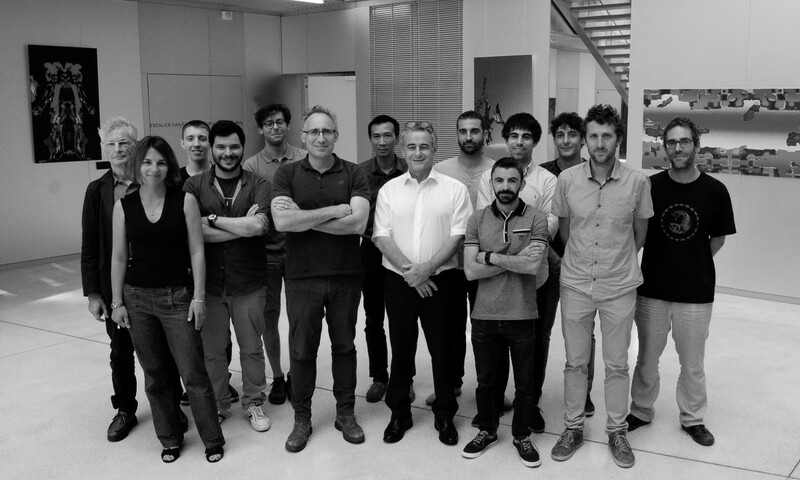 Our work aims to improve the deep brain stimulation treatment. In parallel with our systemic approach, we investigate the mechanisms underlying the huge gap between neuroscience observations and their reporting. We particularly focus on the overstated commentaries made by neuroscientists when they communicate with journalists. 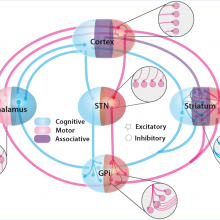 Study of the role of the different brain areas (pre-frontal cortex, basal ganglia, etc.) and their interaction during decision-making process. 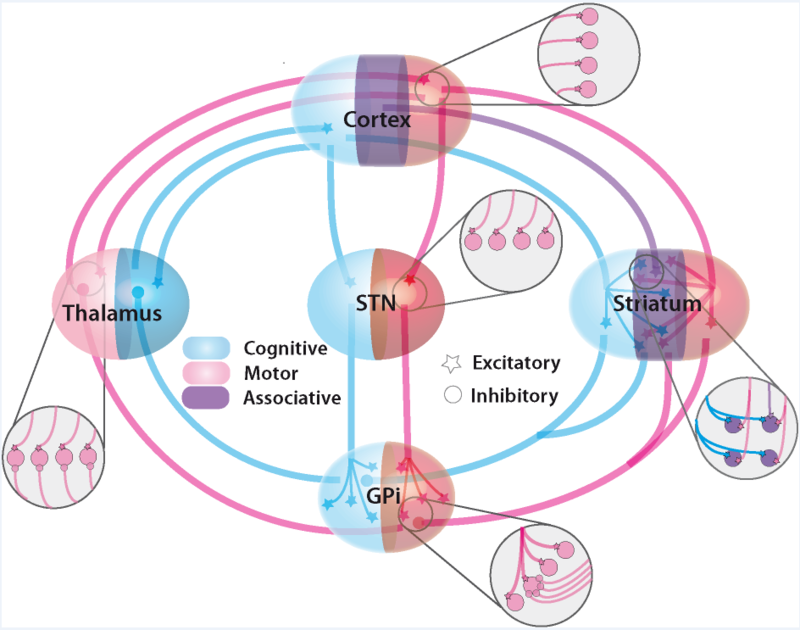 Study of the dopamine influence on the mental representation of the hippocampus (in collaboration with G.Morris, University of Haifa, Haifa, Israël). 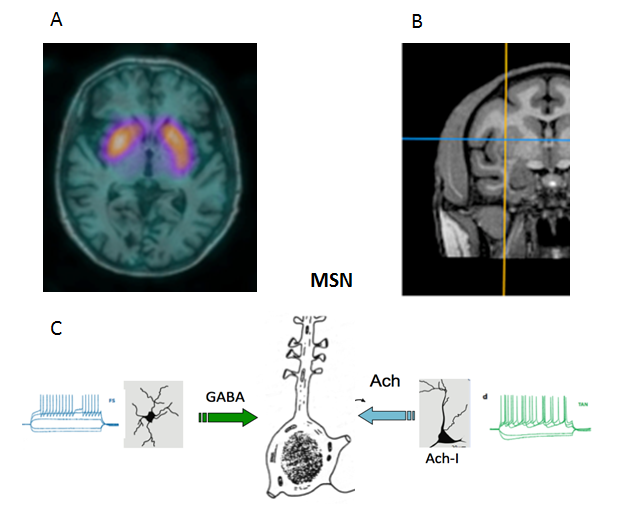 Demonstrate that dystonia is associated with an abnormal function of the putaminal cholinergic interneurons (Ach-I). Exploration of the neuronal network that supports doubt and study of the neuronal changes occurring when the subject is aware of his doubt. 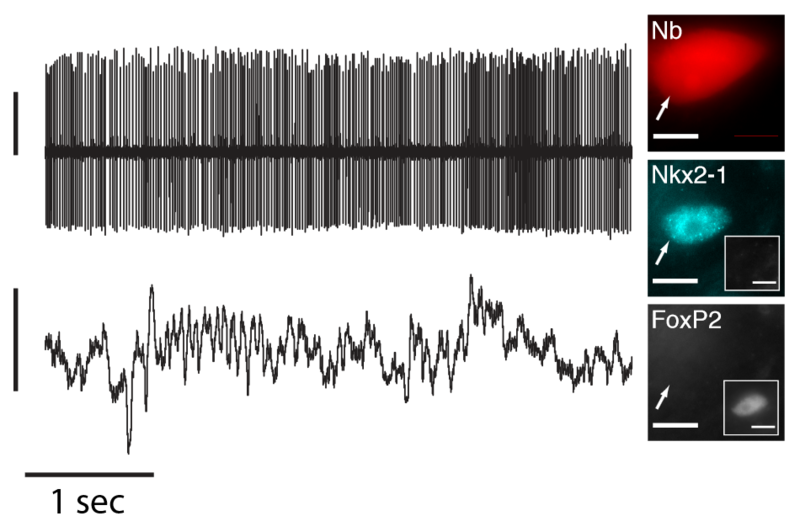 Characterize the features of thalamic activity during the initiation of movement-related induced tremor. Investigate in what extent the orientation of neuroscientists by institutions towards mass media affect the whole research process, including its soundness. 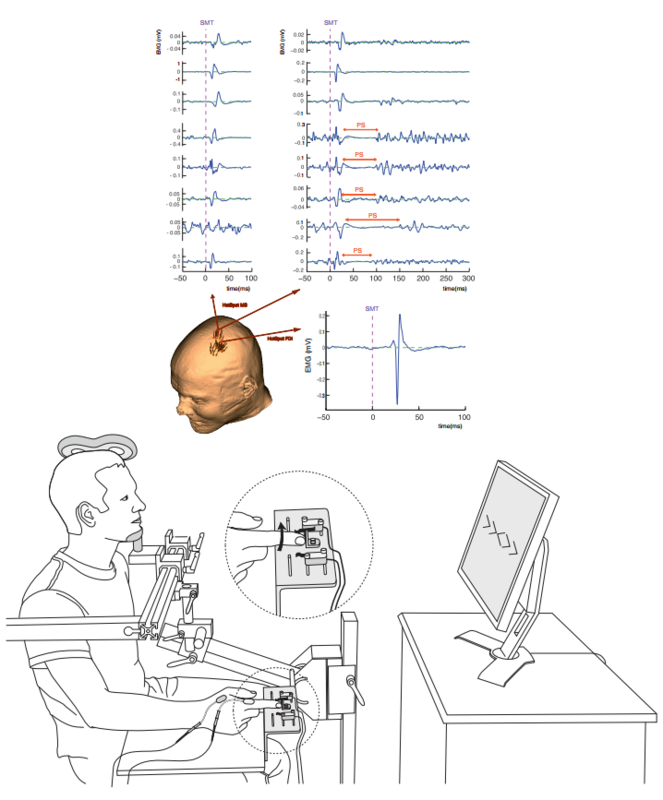 Study of the potential role of basal ganglia in the genesis of epileptic seizures through a translational approach in humans and monkeys.